An unprecedented gift from the Walton Family Charitable Support Foundation has established the new School of Art at University of Arkansas, where students will benefit from expanded graduate program and degree offerings in art history, art education and graphic design. FAYETTEVILLE, Ark. – The University of Arkansas is pleased to announce an unprecedented gift from the Walton Family Charitable Support Foundation to establish the School of Art. The foundation has made a $120 million gift, which is the largest ever given to a U.S. university to support or establish a school of art. 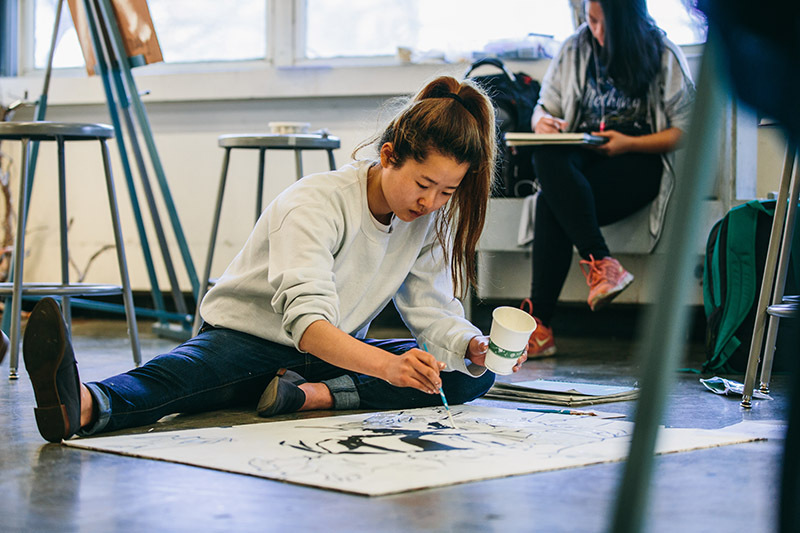 This gift creates the first and only accredited, collegiate school of art in the state of Arkansas, and will propel art education and research in the state forward while also providing unparalleled access and opportunity to students. For more information about the School of Art, please visit art.uark.edu. About the J. William Fulbright College of Arts and Sciences: The J. William Fulbright College of Arts and Sciences is the largest and most academically diverse unit on campus with 19 departments and 43 academic programs and research centers. The college provides the core curriculum for all University of Arkansas students and is named for J. William Fulbright, former university president and longtime U.S. senator. About the University of Arkansas: The University of Arkansas provides an internationally competitive education for undergraduate and graduate students in more than 200 academic programs. Founded in 1871, the University of Arkansas comprises 10 colleges and schools and maintains a low student-to-faculty ratio that promotes personal attention and close mentoring. About the Walton Family Charitable Support Foundation: The Walton Family Charitable Support Foundation was founded to support specific charities in the state of Arkansas. It was established by the family of the late Sam M. Walton and Helen R. Walton.